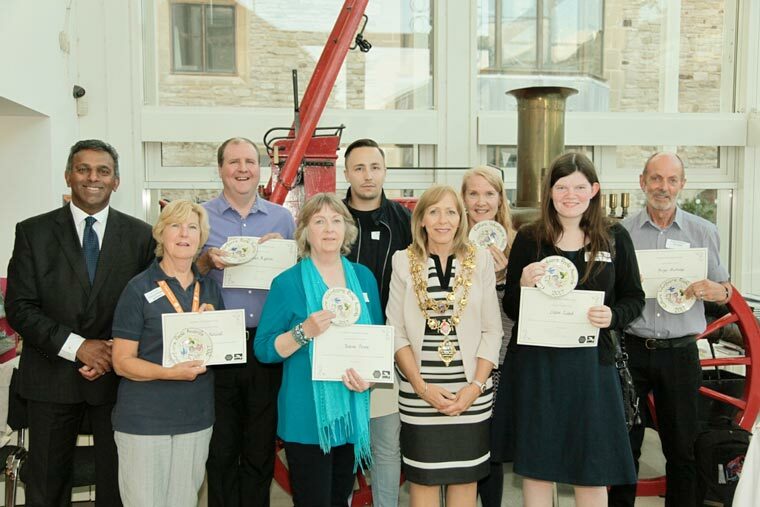 Volunteers, Culture and Community staff, and councillors gathered on 24 July to celebrate the hard work, selfless dedication, and commitment that volunteers donated throughout the year to a variety of services including Poole’s libraries, parks and gardens, and the museum. Seven awards were presented to volunteers who had provided outstanding service as a cultural volunteer of Poole in the past year. Each winner was awarded an exclusive, hand-painted Poole Pottery dish, donated by Poole Pottery and painted by lead paintress Nikki Masserella, presented by the Mayor of Poole, Cllr Lindsay Wilson. Culture Volunteers Poole is a dedicated team providing a volunteering programme of opportunities to support the council’s arts, museums and library services. It offers volunteering opportunities ranging from one-off events, such as festival stewarding or events assistants, to more regular activities, including archiving, or monthly assistance with social media and newsletters.